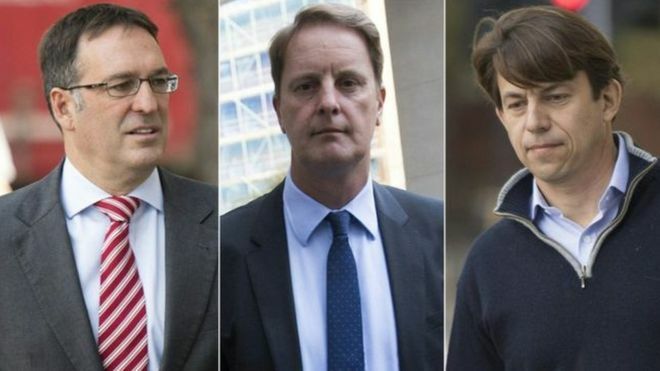 Two former directors at Tesco have gone on trial, accused of manipulating figures that resulted in the firm's profits being overstated by £250m. Chris Bush, Tesco's former UK managing director, and ex-UK food commercial director John Scouler are each charged with one count of fraud and false accounting. Former UK finance chief Carl Rogberg, charged with the same offences, is not well enough to stand trial. All three men deny the charges.